Coffee and cakes about to be enjoyed by members of the Fjære Historical Society following the tree cutting ceremony. 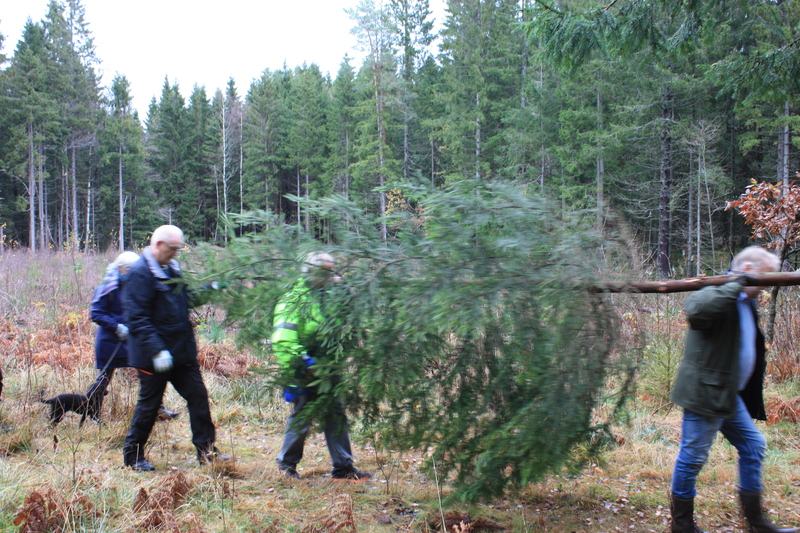 In a ceremony which goes back over three decades, the christmas tree that will grace the inside of St Magnus Cathedral this festive season has been felled in a forest in Norway. Each year, going back 32 years, the cathedral Christmas tree is gifted to Orkney by the Fjære Historical Society, in the district of Grimstad, in south-east Norway, marking the friendship between the two areas. Grimstad is a town and district just north of Kristiansand, on Norway’s south-east coast, and Fjære is one of its parishes. The tree is selected from the woods at Bringsværd, where Kali Kolsson grew up, before going on to follow his uncle Magnus as Earl of Orkney, and later becoming St Rognvald. 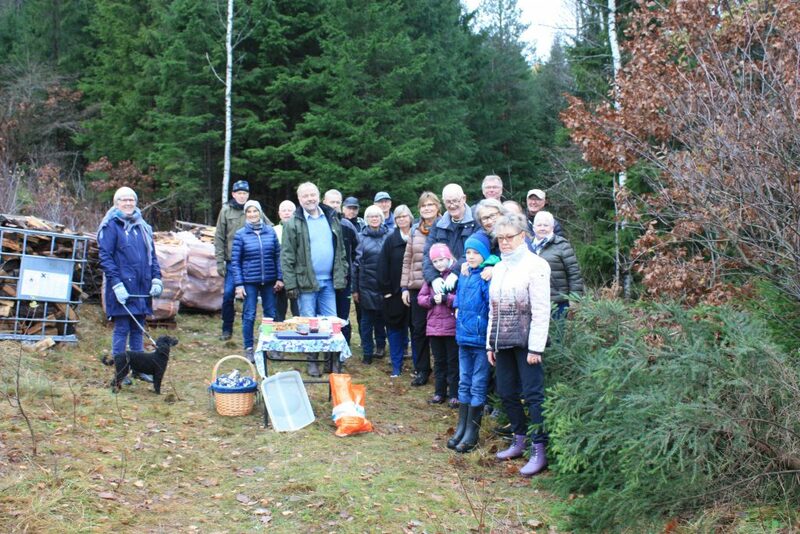 This year the honour of felling the specially selected 32nd tree went to Jarl Vidar Erichsen from the society, who was then assisted by fellow members in removing it from the forest. 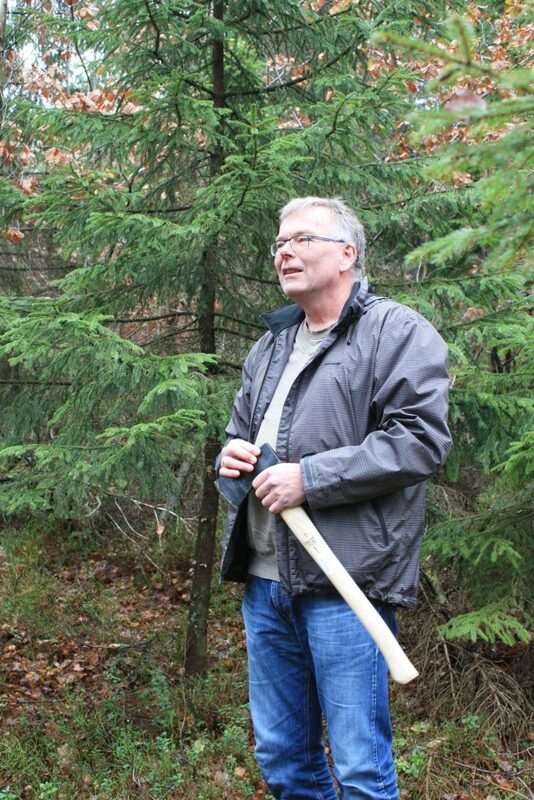 Ove Bach from Grimstad, who is honorary vice-president of Orkney Norway Friendship Association, explained that over 20 people went into the forest for the annual ceremony and enjoyed the occasion. He added that he was very much looking forward to seeing it in the cathedral next month. The second tree gifted to Orkney from Norway, is displayed on the Kirk Green outside the cathedral, and is a gift from Hordaland Fylkeskommune. Jarl Vidar Erichsen, who cut down the tree.